At a fairly light 3 pounds 10.75 ounces, the Miglia weighs less than most of its competition. Lightness is good, as when the modular section is up you'll feel less strain upon your neck. And once placed on your bean, the chin-strap can be preset to your comfort level and conveniently releases with a handy thumb catch. The liner and cheek pads are soft and comfortable, resembling microfiber and unlike the sometimes abrasive-feeling mesh material found in many lower-priced helmets. These are held in place by solid, well-placed snaps, are easy to remove, and can be washed. The reassuringly thick clear visor seals well, won't twist much when you raise it up, and its four detents are solid-feeling. The modular section is released by a centrally-positioned button behind the chin curtain. A notch in the chin curtain guides your finger right to it, so there's no fumbling about. When closed, the modular section fits tight to prevent whistling or unwanted drafts. 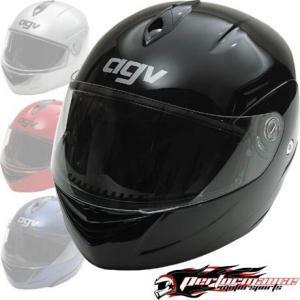 Available in five colors plus flat black, this is not a splashy helmet. Styled more toward function, it's a subtle and pleasing design but won't snap heads around at first glance. If you seek modular, this one is hard to beat for price and quality, and should keep your head cozy as you put the miglia behind you.